Control of the US Senate largely hinges on the outcome of election in 12 states. In half of these contests, the Democrat candidate is the scion of rich political legacies. In their own way, these contests will test the proposition that America is a land without an aristocracy. Obama’s “Dreams of My Father” may be less a memoir than a political blueprint. For many Democrat candidates this year, their last name is their greatest political asset. In Arkansas, Sen. Mark Pryor is seeking reelection for a seat long held by his father, and former Governor, David Pryor. Colorado Sen. Mark Udall is seeking reelection, continuing his father, Mo’s, rich progressive legacy in Congress. Udall’s cousin, New Mexico Sen. Tom Udall, himself the son of a Congressman and cabinet secretary, is also seeking reelection this year. 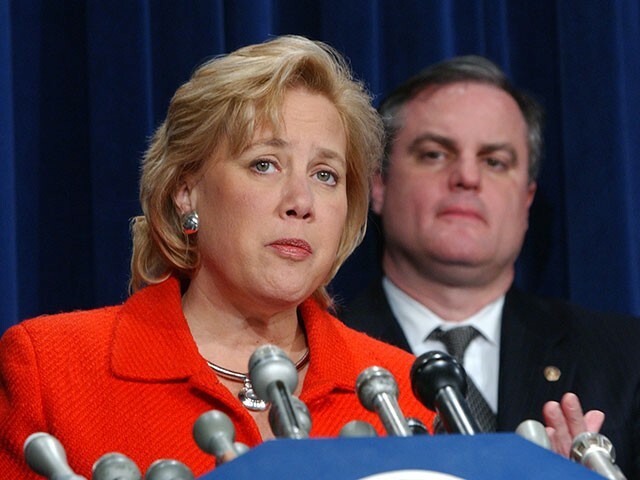 Embattled Louisiana Sen. Mary Landrieu is fighting to preserve her family’s storied political history. Her father, Moon, was a legendary mayor of New Orleans and a cabinet secretary under President Carter. Her brother, Mitch, is currently mayor of the Crescent City. Interestingly, Moon was succeeded as mayor by Dutch Morial, whose own son went on to become mayor. In terms of qualifying for the ballot in Louisiana, as far as the state is concerned, Sen. Landrieu still lives with her parents. Alaska Sen. Mark Begich’s father, Nick, was a longtime fixture in state politics. The Senator’s father holds a unique distinction of winning reelection to Congress after he had died. To recruit challenges, Democrats have also rifled through the political attic. In Kentucky, Alison Lundegran Grimes is challenging Sen. Mitch McConnell. Grimes is the daughter of Jerry Lundegran, longtime head of the Democrat Party in the Bluegrass State and close confidante of Bill Clinton. The elder Lundegran was in the news lately for possibly illegally contributing to his daughter’s campaign through heavily discontented campaign bus rentals. In Georgia, Dem candidate Michelle Nunn is seeking to reclaim her family’s place in the Senate. The daughter of political legend and conservative Democrat Sam Nunn is running for an open seat. Also in the Peach State, Jimmy Carter’s grandson is hoping to put his family back in the Governor’s mansion. Obviously, there are Republican politicians for whom elected office seems to run in the family. The Bushes arguably are the nation’s most successful political dynasty in history. Never before, however, has a political party’s fortunes hung on an entire slate of political heirs. Future historians will be better placed to explain this phenomenon. My own hunch is that the current Democrat party has lurched so far to the left and is so beholden to political extremists that appeals to a past time when the party was more centrist is the only viable electoral option in many parts of the country. Pawning the family’s political silver may be the only way to credibly make an argument for a more moderate party. Unfortunately, this is not your father’s Democrat party. Soon after the November midterms, Democrats around the country will wait with anticipation to see if Hillary Clinton, nepotism’s par exemplar, will deign to again run for President. If she passes on the contest, another New York Governor named Cuomo may tempt Democrat voters. Perhaps another California politician named Brown will enter the race. The success of Democrat policies have always relied and the efforts, and tax revenue, of other people. It seems that now their political fortunes do as well.